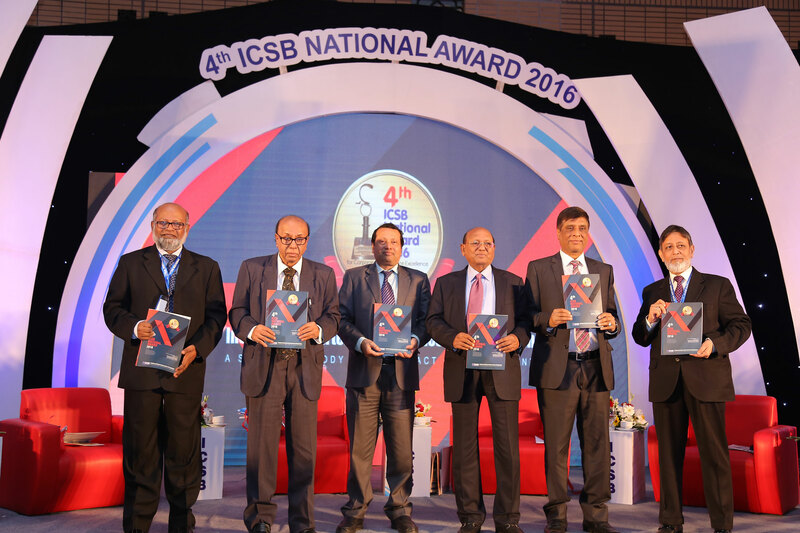 4th ICSB National Award for Corporate Governance Excellence, 2016 was held yesterday at BICC, Dhaka where 22 Companieswere honored for complying with CorporateGovernance based on Bangladesh Securities and Exchange Regulations along with transparency and accountability in the overall managementof the respective industries during the year 2016. 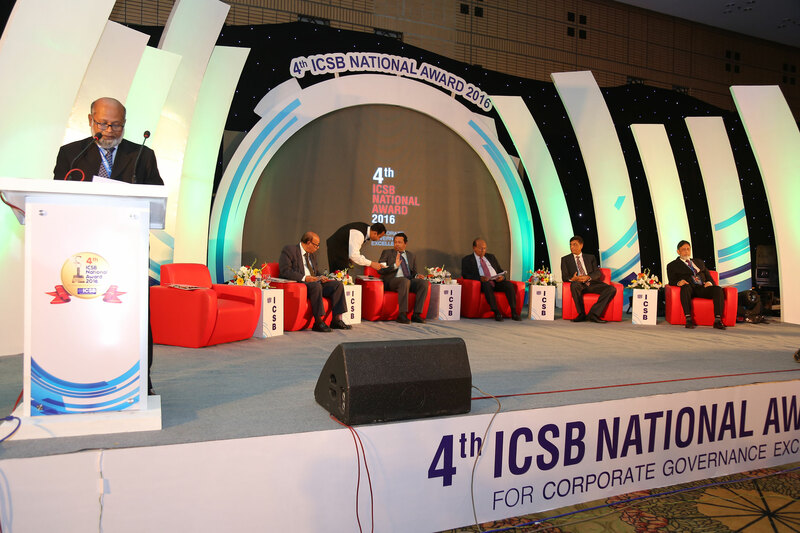 Commerce Minister Tofail Ahmed MP graced the occasion as the Chief Guest and presented the awards and certificates to winning companies of 8 categories covering all listed companies under DSE & CSE Limited. The award giving ceremony was also addressed by Mr. Shubhashish Bose, Hon’ble Secretary, Ministry of Commerce, Government of Bangladesh and Prof. Dr. M. Khairul Hossain, Hon’ble Chairman, BSEC as the special guests and Dr. A.B. Mirza Md. 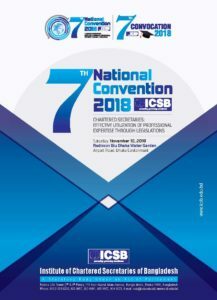 Azizul Islam, Former Finance Advisor to the Caretaker Government of Bangladesh as Chairman of the Jury Board for the 4th ICSB National Award for Corporate Governance Excellence, 2016 while Mohammad Sanaullah FCS, President of ICSB chaired the Award Program. Among the awardees in the Banking sector Prime Bank Limited got the Gold while Southeast Bank Limited and Eastern Bank Limited bagged Silver and Bronze respectively. Similarly, in Non-Banking Financial Institutions IDLC Finance Limited got the gold while International Leasing And Financial Services Limited and Union Capital Limited achieved Silver and Bronze respectively. Likewise in Insurance Companies category,Green Delta Insurance Company limited received the gold while Prime Insurance Company Limited and Phoenix Insurance Company Limited ensured Silver and Bronze respectively. 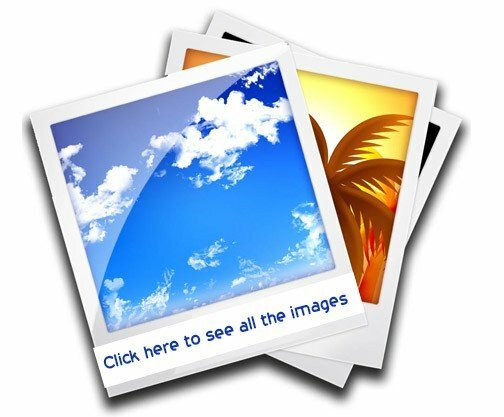 In the same way in Pharmaceutical, Food and Allied Companies categorythe IBN SINA Pharmaceutical Industry Limited got the gold while Golden Harvest Agro Industries Limited and Square Pharmaceuticals Limited took Silver and Bronze respectively. Likewise, in Textiles and RMG Companies category,Envoy Textiles Limited got the gold and Shasha Denims Limited and Square Textiles Limited bagged Silver and Bronze respectively. In IT, Telecom & Services Companies category, Grameenphone Limitedwon the gold while Eastern Housing Limited achieved the silver. In Engineering, Fuel & Power Companies category,MJL Bangladesh Limited got the gold while Singer Bangladesh Limited bagged the silver. 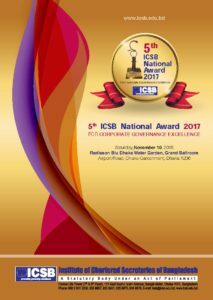 In the same way in Manufacturing & Chemicals Companies category,RAK Ceramics Bangladesh Ltd. won the gold on the other hand British American Tobacco Bangladesh Company Limited and Heidelberg Cement Bangladesh Limited achieved the Silver and Bronze respectively. While extending heartiest congratulation to all award recipients, the Commerce Minister underscored the present government’s commitment to ensure good governance and corporate culture in the listed companies of Bangladesh. 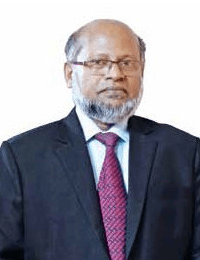 He applauded the role of the Institute of Chartered Secretaries of Bangladesh for developing professional skills in the listed companies. President of the Institute Mohammad Sanaullah FCS emphasized that practicing good Corporate Governance is the need of the time. 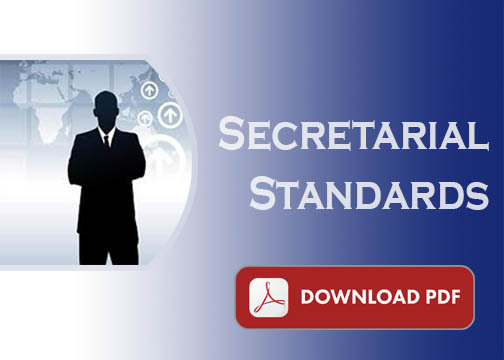 It requires the whole hearted commitment of all individuals working in the company for the purpose of sustainable development of all stakeholders in general and maximization of the shareholders value in particular. Good Governance practice helps to improve employees’ morale and high productivity and also ensure long term goals of the business.